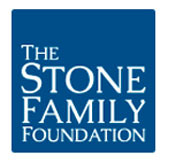 The inaugural Stone Family prize for innovation and entrepreneurship in water will be accepting applications from Feb. 1 until World Water Day - March 22, 2012. The Foundation seeks new, innovative, sustainable and entrepreneurial initiatives focused on improving the quality and access to drinking water in sub-Saharan Africa and South and South East Asia. On a medium sized mountain called Cyakabiri in the center of Rwanda, Binunga Village is located. The Urukundo Home for Children, started in 2006 by Arlene Brown, is there. The Center is home for 46 children, ages from 1 to 19 years. 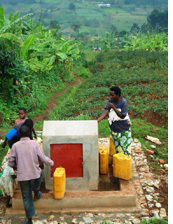 This project, funded by the Rotary Foundation through a Matching Grant initiated by the Rotary Club of Forest Hills in Pittsburgh, USA, and hosted by the Rotary Club of Kigali-Virunga, pumps over 8800 gallons a day up a mountain to the orphanage/school and the village of 2500. In the past, infrequent rainwater required travel down the mountain to manually haul water for drinking, cooking, bathing, and livestock. This project, completed in Dec. 2011, using a spring fed reservoir, solar panels and pumps, frees women and children from the burden of hauling the water. 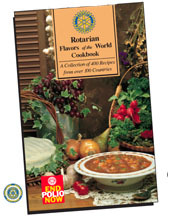 For information email Thomas Nunnally. Had a look at our website lately? Your Wasrag team has been working to make our site more user friendly. The first set of upgrades have now been uploaded. One important change is that any user can now sign up to fully use the site independent of Wasrag membership. However, we need your membership to support our ongoing work! So if you haven't joined yet, we urge you to consider becoming a member. Included is an adjustment to our logo treatment: the Wasrag logo and the Start with Water program logo have been brought together to show how the two are integrated. We hope you like our new look! 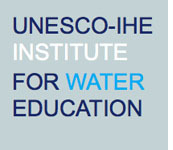 Rotary and the UNESCO-IHE Institute for Water Education are teaming up to tackle the world's water and sanitation crisis by increasing the ranks of trained professionals critically needed to devise, plan, and implement solutions in developing countries that bear the brunt of the problem. Several new projects have been posted on the Wasrag website in the last month. If you are looking for a project, follow the links to get more information. 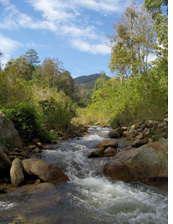 Sustainable and Safe Water for 22 rural schools in Rayong, Thailand. El Portillo, Honduras Water Project.